On October 11, 2016, representatives from Paris, Somers and Kenosha announced a boundary agreement regarding land along I-94, extending sewer and water service to that area and a permanent border for Paris. 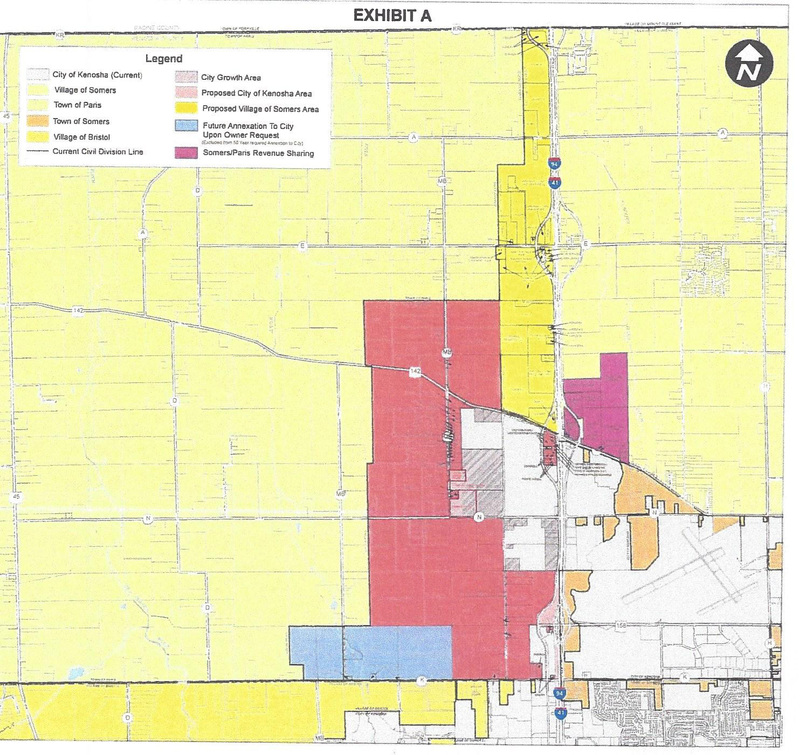 The agreement designates areas of Paris for eventual annexation into Somers and Kenosha, but not allow any further annexations from those municipalities. An additional feature of the agreement involves the sharing of revenue between Paris and Somers for the land developed in village growth area. The Kenosha Water Utility will be able to bring sewer and water to both the village and city growth areas.